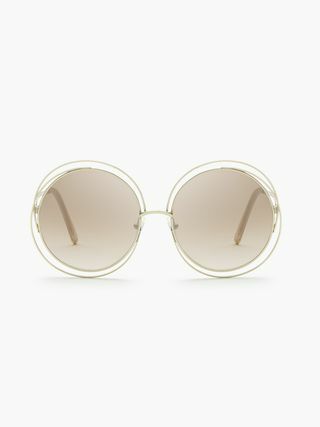 The Maison's iconic Poppy is reinterpreted in a petite shape perfect for smaller faces. 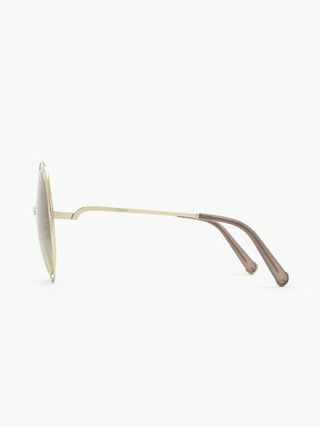 The scaled-down design of the breezy metal line features the 70s-inspired octagonal frame with floating gradient rusty pink mirrored lenses. 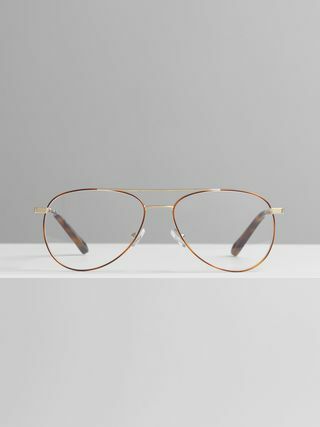 The striking silhouette exudes a cool attitude, with the thin structure and floating lenses bringing a sense of lightness. 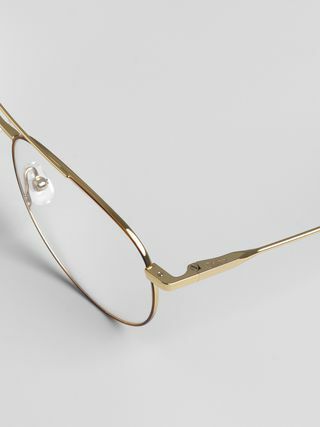 Havana foil frames the floating lenses and matches the temple tips, gently contrasting the luxurious gold metal. 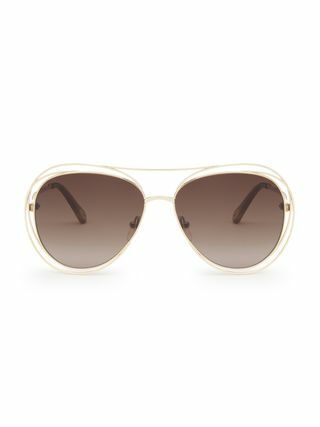 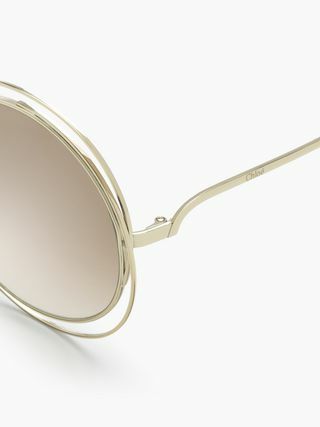 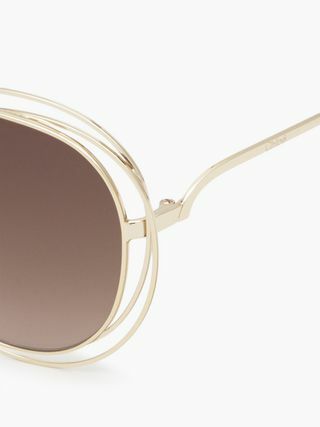 Chloé's signature drop-shaped opening at the temple tips allows for pairing with eyewear jewellery.